Need to lift concrete on driveway and front walkway area. Sunken concrete sections in the driveway Approximately 1.5" sinking at front corner of garage, causing brick to separate from the exterior wall. I have a slab that sunk.It is about 6 by 50 feet. Front pathway near front door has sunken about 2 inches. Need to raise it. It's about 16 sqft total. Am interested in a quote for fixing my foundation. Thank you! Inclosed patio slab has cracked and become uneven. The driveway in the front yard needs to be raised by a few inches as water puddles on the driveway. Back patio has settled away from the house. Need a quote to repair. The sidewalk in front of my house is sloping toward my house which causes the runoff from the gutter to drain back to my house instead of away. I need someone to raise the sidewalk to ensure positive drainage. I need the concrete lifted around my pool decking. Please provide a quote. Thank you! Hi, We have a large crack and settling where our concrete stairs go from our garage to our door. We are hoping to see how this product compares with mudjacking quotes we have received. Thanks! I purchased my home a year ago, and since moving in, the foundation has shifted significantly (the floors are separating from the walls in some areas). The house came with a warranty for previous work (concrete pressed piles installed 5 years ago), but that company isn't honoring the warranty. As such, I hired a structural engineer to assess my home. He concluded that the previous work was a faulty system and needed to be removed and replaced with a new system. I'd like to get a quote from you to remove the current system and add a new one. Thank you. Concrete driveway in residential area. Can send photos; I'm just curious of a ballpark estimate. Please give me a call regarding lift of segment of driveway. Part of the walkway from the driveway leading to the entrance of my home is sinking . Concrete driveway is cracked and sunken in many areas, likely due to erosion. We're investigating options to lift and level the driveway. My hot tub has severely cracked my concrete porch and I need it to be level or it will destroy my hot tub. I have water puddling in my driveway and some cracks. I am trying to get this fixed so that water doesn't collect in the driveway. The concrete slab that holds are AC units has sunk about 2-3 inches. It is about 6'x 3' in area. I have holes underneath my patio (probably 8x7 feet). Also, I've noticed that my carport/carport closet is starting to shift, so I'm assuming there is some soil movement and gaps underneath that area. I'd like to get it fixed! Guests small dog found her way under our pool deck on Thanksgiving and couldn't get out. Fire department had to come lift the pool deck so we could dig her out. The deck cracked in a couple of large sections and when returned to the ground, sunk below the rest of the deck. Another section is also below grade. We need this repaired as quickly as possible. Good news: Dog is okay - but won't be invited back anytime soon. 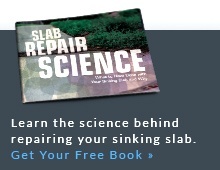 Currently getting quotes for raising a sinking concrete driveway. Concrete Leveling & Repair in Austin, TX! PolyLEVEL™ is a less abrasive and cost-saving alternative to concrete lifting & leveling. The entire concrete lifting process is less destructive and offers numerous benefits over typical slab raising methods. 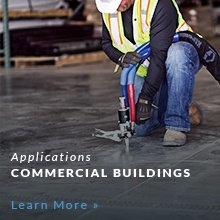 Our Austin contractors are the only professionals trained and to provide the PolyLEVEL™ concrete lifting solution. Comment: Need to lift concrete on driveway and front walkway area. Comment: Sunken concrete sections in the driveway Approximately 1.5" sinking at front corner of garage, causing brick to separate from the exterior wall. Comment: I have a slab that sunk.It is about 6 by 50 feet. Comment: Front pathway near front door has sunken about 2 inches. Need to raise it. It's about 16 sqft total. Comment: Am interested in a quote for fixing my foundation. Thank you! Comment: Inclosed patio slab has cracked and become uneven. Comment: The driveway in the front yard needs to be raised by a few inches as water puddles on the driveway. Comment: Back patio has settled away from the house. Need a quote to repair. Comment: The sidewalk in front of my house is sloping toward my house which causes the runoff from the gutter to drain back to my house instead of away. I need someone to raise the sidewalk to ensure positive drainage. Comment: I need the concrete lifted around my pool decking. Please provide a quote. Thank you! Comment: Hi, We have a large crack and settling where our concrete stairs go from our garage to our door. We are hoping to see how this product compares with mudjacking quotes we have received. Thanks!